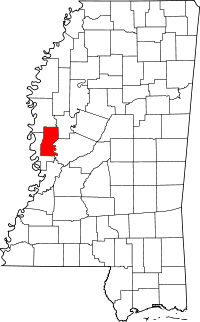 Like most counties in Mississippi, Sharkey County, named for William L. Sharkey, the provisional governor of the state in 1865, has its records maintained by a number of different agencies and offices, depending on what type of record is in question. The county seat is the town of Rolling Fork, MS, and it is where the Circuirt Clerk, the custodian of marriage records, and the Chancery Clerk, the department that handles property and divorce records, are located. Both departments are housed in the Sharkey County Courthouse at 120 Locust Street, and both operate during normal business hours throughout the week. Birth and death records, as well as marriage records are maintained by the Public Health Statistics department operated by the State Dept of Health. Another state source of records for research is the MS Department of Archives and History which offers a substantial amount of records online, as well as at its library in Jackson, MS.